Walsh will visit Chapel Hill April 8 to receive the prize – a $20,000 cash award – and give a lecture on his work at 3 p.m. in room G202 in the Medical Biomolecular Research Building (MBRB), with a reception to follow. 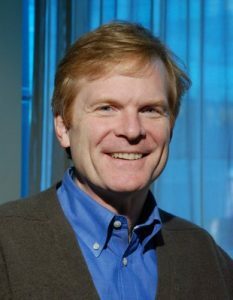 Walsh, who is also a Howard Hughes Medical Institute investigator, and collaborators have defined the genetic mechanisms of developmental abnormalities of the human brain, including conditions where cortical neurons fail to migrate and form the normal cortical layers. Recently Walsh and collaborators have identified mutations in more than 10 genes that cause a condition called microcephaly (small brain), which is a major cause of intellectual disabilities. Some of the genes control the mechanisms of cell division; others control the structure of chromatin – how DNA is packaged inside cells and how gene expression is regulated. Also, Walsh and collaborators found that many of these genes control cell fate – whether cells become neurons or continue to divide as progenitor cells or stem cells. This plays a direct role in the size of the brain.